A Red (and Green) Letter Day! Our Real Books are now Out There! We three are all SO EXCITED about our books that we all decided to write mini-blogs today. 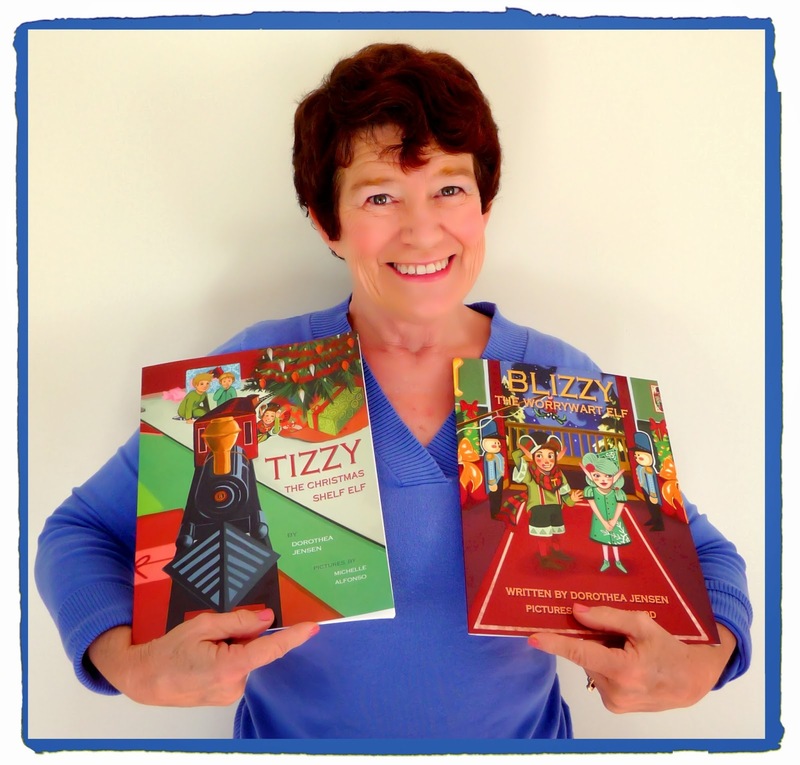 (We try not to celebrate TOO LOUDLY, because our friends Frizzy, Quizzy, Bizzy, Fizzy, and Whizzy don't have books yet.) They say they are happy for us, but we know that they are a bit jealous, too. Adventure when I was trapped in a gift and delivered to the home of two little boys, Owen and Alex. They help me get back to the North Pole by using their imaginations (and a couple of Other Things). These kids turned out to be Deedy's grandsons. What a coincidence!! 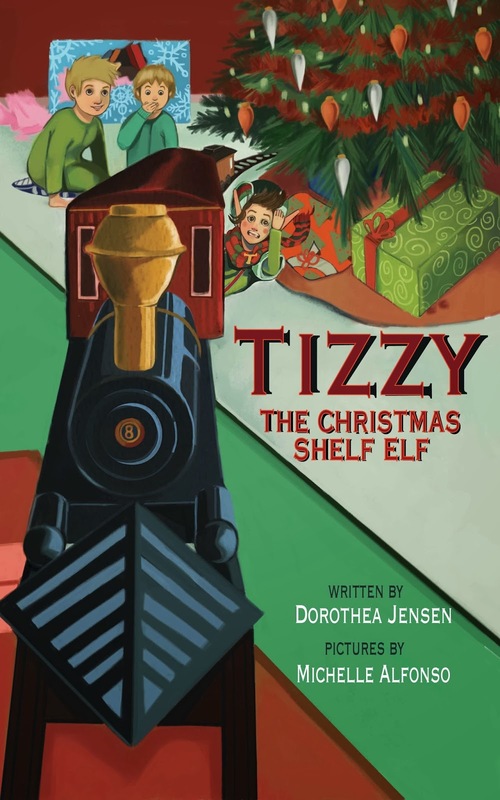 Tizzy's story might have been first, but mine is WAY MORE INTERESTING because you can meet every one of the Izzy Elves in their own North Pole Habitat! And not ONE of them seemed to notice that TIZZY is MISSING!?! But I did. You all know why. If you don't, then check out Blizzy, the Worrywart Elf, and you'll find out! will agree that mine is the most EXCITING. BY FAR. Read my story, Dizzy, the Stowaway Elf, and you'll be on the edge of your seats—just as I was, and two little boys, too—in SANTA's SLEIGH believe it or not! What a wild ride that was! P.S. I just found out that Stuart and Drake (who went on the joy ride with me) are also Deedy's grandsons! What a Small World! You can be the judge of which of our stories you like the best!